New Delhi: The impasse over a government proposal to modernize madrasas, or traditional Islamic schools, illustrates how a “minority mindset" imposed by the ulema, or clergy, and politicians could draw Muslims deeper into the morass of conservatism, poverty and unemployment. Since taking over as the human resource development minister in May, Kapil Sibal has been driving reforms in all areas of education. Among his initiatives is a renewed push for the 2004 Madrasa Modernisation Scheme, which aims to include the teaching of modern subjects in the largely theological curriculum and centralize the management of the thousands of Islamic seminaries spread all across India. “It’s a big step for Muslim education," says Firoz Bakht Ahmed, the grandnephew of one of independent India’s founders, Maulana Abul Kalam Azad, and a writer on minority issues and madrasa education. The scheme will enable students from various parts of the country to seek jobs of their choice, he says. Changes are urgently needed to improve the state of the community. A committee under former Delhi high court chief justice Rajinder Sachar, which conducted independent India’s first exhaustive study on how Muslims fare in education and employment compared with others, established that the community was lagging behind in education and government jobs. Some 25% of Muslim children in the age group 6-14 have never been to school, though the national average primary enrolment rates are above 95%, the committee found. The Sachar committee also found that only 3% of Muslim children went to madrasas, denting the government’s argument for using the modernization of religious schools as a means to improve the community’s primary education. Sibal promised a consensus within 100 days on the scheme, which the government views as crucial for the long-term uplift of the community. Modern education will provide Muslim youth from these seminaries a progressive socio-political outlook as well as help them find jobs and assimilate into the Indian success story. But the consensus deadline passed in August, and there is still no agreement on reforming madrasa education. The reason? Many madrasas find the teaching of modern subjects such as science and mathematics alongside the Quran too much of a dichotomy. Sections of the ulema and politicians belonging to the community also view the move as government intervention that will dilute the essentially theological nature of the madrasas. The Madrasa Modernisation Scheme was proposed in 2004 by the newly set-up national monitoring committee for minorities education, effectively formalizing a 1986 government initiative to improve the quality of education at the schools. It provides for setting up an All-India Madrasa Board to monitor the implementation of the modernization programme as well as help them upgrade infrastructure and facilities. The Central Madrasa Board Bill 2009, which is yet to be moved in Parliament due to a lack of consensus, empowers the board to take steps for the standardization of the non-theological aspects of seminary education and its comprehensive, systematic and integrated development. The board can promote education in non-theological subjects such as science, social science, mathematics, English and Hindi without interfering in any manner with the theological content and evaluation of madrasa education. The scheme will also devise ways to promote education of Muslim girls to eradicate gender-based educational disparities. About 6,000 madrasas, 1,800 teachers and 700,000 children will be covered under the scheme for qualitative improvement, which would enable the children to attain standards prescribed by the national education system in formal subjects. During 2008-2009, Rs27 crore was released for 4,597 madrasas in Chhattisgarh, Maharashtra, Uttar Pradesh and Madhya Pradesh. The scheme will also provide augmented infrastructure in private aided/unaided minority schools/institutions, estimated at around 400 across India, in order to enhance the quality of education. But most of the 18 members of Parliament (MPs) from the Muslim community, who met ministry officials to discuss the issue in October, opposed the terms for the constitution of the national madrasa board. The MPs said the proposal, which stipulates certain appointment norms, may lead to interference by the government in the functioning of madrasas and not adequately represent the Muslim community. The impasse has disappointed people such as Afaque Rahmani, who operates from the ill-equipped Madrasa Ahmadia in Bihar’s Madhubani district. Rahmani, a 54-year-old postgraduate in botany, is pro-reform and looks at modernization as crucial to the progress of the community at large. He already teaches science at the madrasa of his own accord, but was banking on the policy change to get state-of-the-art infrastructure and faculty for his students. For 23 years, Rahmani has managed to cope with the challenge of teaching science along with the religious teaching of the Quran with rudimentary facilities. But in September, when the human resources development ministry proposed Rahmani’s name with three others as the country’s best Urdu teachers for the President’s medal, he joined the emerging chorus from the seminaries to be heard. The discontent is not just due to the dilemma over integrating modern subjects with religious texts; it pertains to the very rudimentary, day-to-day needs of the madrasas. One computer has been procured to impart vocational training to children. But apart from that, Rahmani has just a few pieces of chalk and a blackboard. Typically, he says, the hurdles are basic—such as how to show his students chemical reactions or the dynamics of a spring balance as listed in textbooks. “Unless your students see the chemicals turning yellow, blue or red in a beaker, how much fun can they have studying science?" Rahmani’s love for science and the joy of teaching, despite the resource crunch, keep him going. Back in 1976, when Rahmani had just joined the madrasa after his postgraduation at a local college in Madhubani, he had gone on a door-to-door campaign to get children to attend the school. “There was much resistance and disbelief," he recalls. Enrolment has risen to 500 over the years, he says. Since 2003, the pass percentage has also gone up steadily. “In the beginning, it was a dismal 20-30%. Now, 80-90% of children pass out with good marks," he adds. With enhanced enrolment, what remains dismal is the salaries paid to madrasa teachers, says Maulana Shafiqur Rahman, superintendent of the Deorail Madrasa in Assam, who was recognized as the best Urdu teacher of the year last month along with Rahmani. “Worse, the salaries never come on time." In Bihar, madrasa teachers get Rs2,000-3,800, while a recent hike in dearness allowance raised the salary of principals in seminaries aided by or affiliated to the state madrasa board to about Rs11,000 a month. In Assam, apart from the meagre pay, there is an acute shortage of teachers, especially for science. The last appointment of teachers happened in 1999. “Thousands of teaching posts have been lying vacant since then. 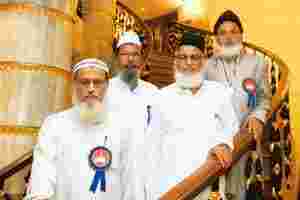 The government is neglecting minority education in the state, even as education standards keep falling," says Rahman. Vacant faculty positions have now become a challenge for these seminaries, says Rahmani, who has been aggressively trying to hire teachers for science and mathematics for the last two years. “For years, we have not taught modern subjects at the seminaries. Hence, there are no teachers good enough to be hired," he says. Much of this could be taken care of by the setting up of the national board under the Madrasa Modernisation Scheme. But questions about the scheme have been raised even by those who don’t necessarily fear its secular impact. A section of detractors fears the introduction of a separate board for madrasas would alienate the Muslim community. “Ideally, there should be some provision in the existing education boards," says Salim Akhtar Bellali, principal of Faazil Madrasa in Darbhanga, Bihar. The agenda for reforming madrasas is also being linked with the question of countering “terrorism", says Rahman. In Assam, where his seminary imparts education to 350 Muslim children from economically backward sections, classes are often interrupted by police carrying out security checks. “We have computers, we have books in English, we have students who can converse in English—but no militants. The allegation that madrasas breed militants is completely baseless," he says. The government reserves the power to appoint the panel that would run the board, remove any member, and monitor the way funds are used. This provision has also caused the Muslim community to accuse the government of trying to control madrasas. Hamidi’s question relates partly to the concern that reforms may alter the “Islamic nature" of the madrasas, with some Muslims viewing the schools as an expression of identity rather than as seminaries where a young generation can be trained to meet the challenges of tomorrow.